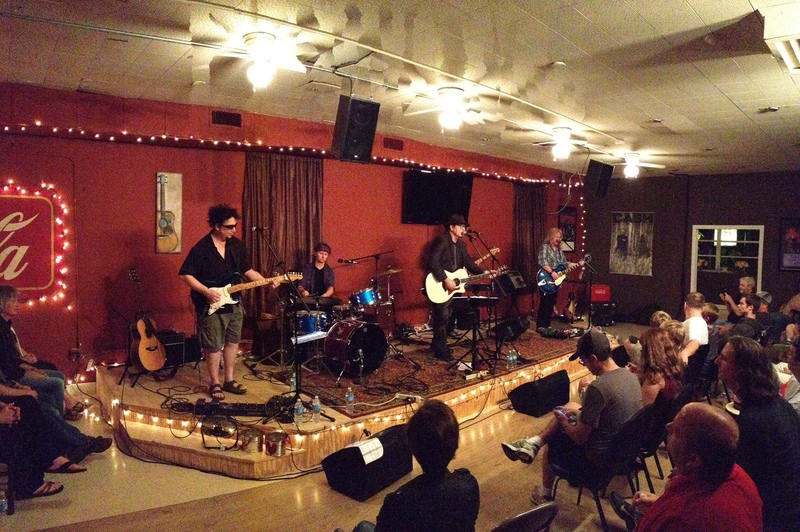 Tonight the Lost Dogs were playing at Area 251/Real Life Church in Dallas, GA. This was the 14th show on their tour. What an amazingly talented group of guys!! If you have the opportunity to go and see one of their shows I highly encourage it. The Lost Dogs are made up of Mike Roe, Terry Taylor, Derri Daugherty, and Steve Hindalong. I have followed these guys since the 80’s. Roe with the 77’s, Taylor with Daniel Amos, and Daugherty/Hindalong with The Choir. I first heard of the 77’s and Daniel Amos on what used to be “96 Rock” in Atlanta. They would play “Christian” music early on Sunday mornings. As a new Christian, I would get up with my cassette player and record the hour long show “Higher Frequency”. Tonight was a great reminder for me… To look back at some of my roots in following Jesus. Music is a powerful thing and when connected with the Holy Spirit it can be totally life changing!! I’m thankful tonight God has set my feet upon the rock and made my foot steps firm. If you are unfamiliar with this band check out their website. There you can discover more about them and check out the latest music. A final plug for Area 251/Real Life Church… a great hometown church located in Dallas, GA. If you live in the area by all means check them out if you are looking for a place to connect with God. Mark Blackburn of Jacob’s Trouble is the Pastor who is a gifted teacher and worship leader.